Are you an effective fisherman? What does make the difference between fishing and catching? Over the years, I have had the good fortune to fish with some excellent anglers. Some of them were professionals. Most of them were just enthusiasts like the rest of us. All of them have had the following habits in common. Every trip should be a learning experience. Even if it is just determining why you had a good or bad day on the water, take something away from the trip. In addition, you might learn how to use a new lure or a different technique for something already in your tackle box. Fish with tackle that is as light as reasonably possible. The largest jig head I have ever seen any good flats angler use is a ¼ ounce. Most of them use 1/8 or 1/16 ounce heads. Light lures and lines allow for a more natural presentation of your lure. Learn how to use a select number lures well. The successful fishermen I have watched are not lure junkies. Their arsenal includes one or two lures that cover each area of the water column. They might change colors, but they don’t change lures. This doesn’t mean you shouldn’t try new lures. Just figure out how you want to work it into your repertoire. Learn one or two fishing venues like the back of your hand. You should know the location every pothole, oyster bar, and the outlet for those areas. Learn exactly which conditions create the best chance for success for those areas. 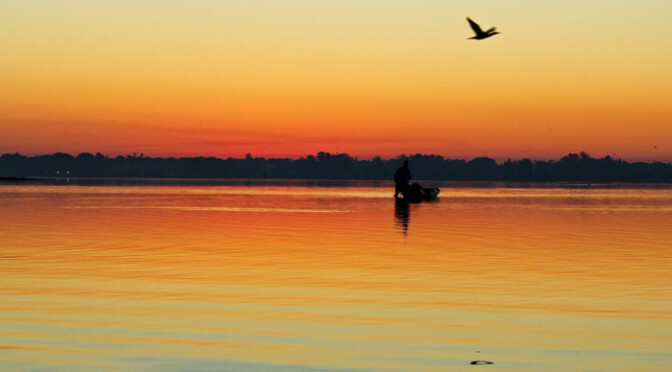 Many expert fishermen are only experts on their home waters. Keep a log of your fishing trips. You might write it down in a diary or set up some fancy database on the computer but keep a record of your successes and failures. Make a note of tide, weather, and moon phase. Record what you caught and how you caught them. If you caught fish in a certain area on a high tide around the full moon of July, chances are that might be a good place to go next year at the same time. Watch what is going on around you. Look for diving birds. See if you can find pods of baitfish. If you are looking for redfish, see if you can find mudding mullet. The environment can provide you with a wealth of information. Listen to and watch others. If you are lucky enough to go on a fishing trip with someone you think is a good angler, pick his or her brain. Don’t spend a lot of time telling someone why what you do is best. Learn their techniques for a successful day on the water.